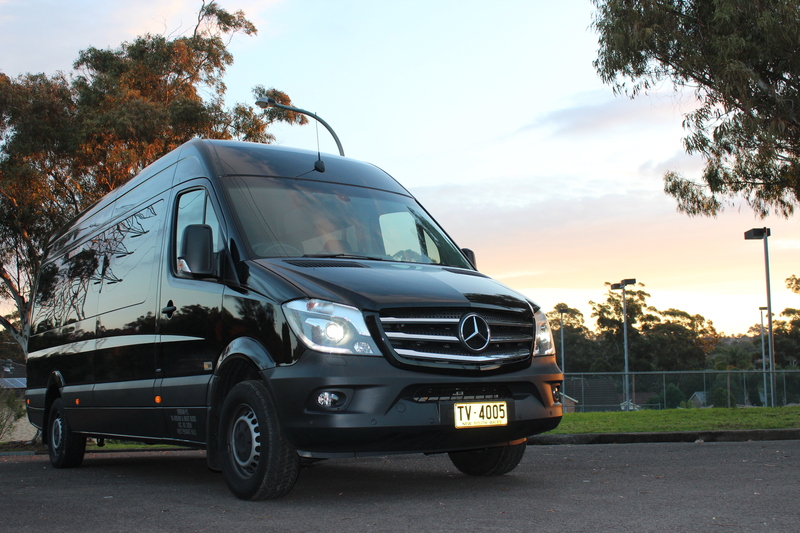 Providing comprehensive transportation needs for corporate clients, school groups, social groups and individuals. We are known for providing the RIGHT service at the RIGHT price. 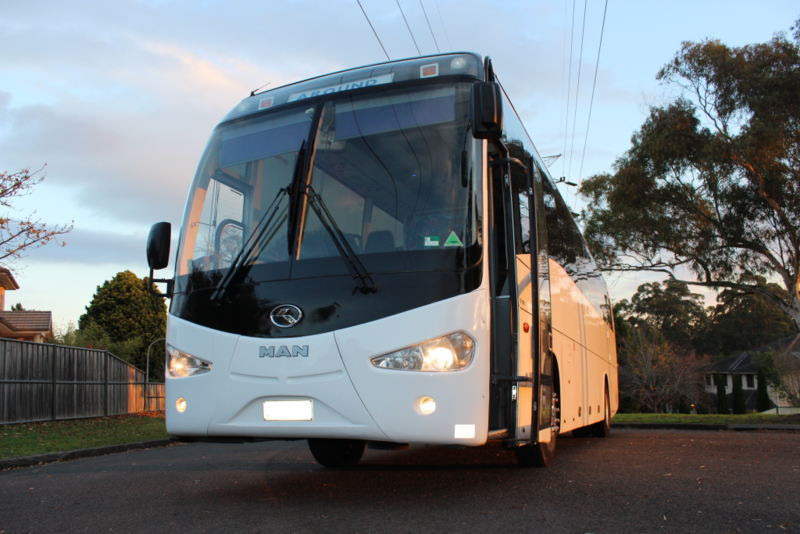 Around and About Bus Hire & Tours have over 15 years experience, providing quality service to an extensive range of clientele including schools, corporate, local communities, aged facilitators, sporting clubs and private groups. 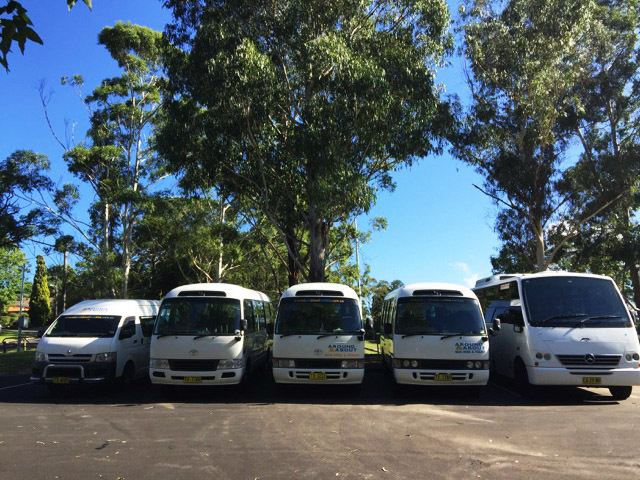 Our vehicle fleet includes 14-seater luxury mini buses, 21-seater Deluxe Toyota Coasters and streamlined Executive Coach up to 57 seats. You will be pleased to know that all of our quotes include the coach, all vehicle running costs, such as fuel, tolls, etc, insurance and a friendly accredited driver. Let us give you a quote – all we need is your destination, pick up location, and the number of passengers who will be travelling. You can call us at 02 9980 8999 or fill out our enquiry form and one of our team members will be happy to work with you. 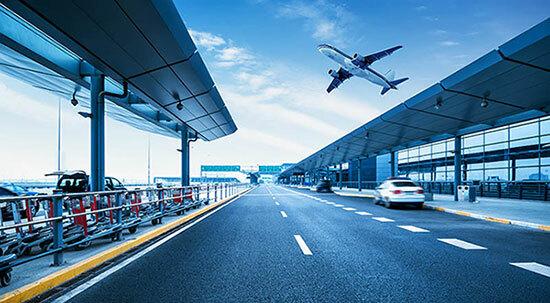 Whether it is a simple airport transfer you require or if you need a more customised service, our 17 years of industry knowledge will assist our clients to best meet their needs. Our airport transfer service operates 24 hours a day 7 days a week, 365 days a year with no day or time restrictions. We can take care of any sized group, whether a solo pick up or drop off, or groups that will be arriving by the dozens over several days. Custom airport transfer services are tailored to fit the exact needs of your group. Many corporations have found that using minibus service with driver is the most efficient way to handle transportation needs. Avoid the costs of parking at the airport, and no wasted time getting your car out of the car park once you have landed. With the costs of fuel rising and more and more people becoming aware of the effects of carbon emissions on the planet more environmentally conscious companies are turning to group transportation. It saves on time and lowers the carbon footprint per individual.